Sometime in the interim year, Darko and Marcy had grown closer, and formed a solid romantic relationship. To everyone else, this seemed perfectly normal, and though Mateo and Leona knew they had been gone for that year, it still seemed far too fast for them. These crazy kids needed to slow down, or burn out. But no, this was totally acceptable, wonderful even. Back in the old days, when Mateo was just starting out, missing important life milestones was one of the first problems that arose. Since then, following the advent of immortality, this became less of a problem. People developed and changed more slowly these days. A several month journey from Earth to a moon of Saturn no longer ended with dying on that moon. It was very easy to go there, spend a lifetime worth of years there, and come back to do something else, or go somewhere new. Soon, people will be going to planets outside the solar system. It will take the first ships decades to get to even the nearest star, but it will be worth it, because that’s nothing compared to the amount of time they have ahead of them. Even after reaching the fastest speeds known to be possible, these trips will take years, but that won’t be a big deal. One day, it won’t be unheard of to take a fifty-year vacation. This is all coming from Leona’s lessons. As was tradition, the remaining members of their island group were having breakfast together. “Did you know that Arcadia would be moving you here when you first came?” Leona asked of Marcy. Darko didn’t look pleased. Marcy was content. “I was hoping I would be able to stay,” she answered. “Why is that?” Mateo asked. “Yep.” He stood up and walked straight into the jungle. He was changing a lot. “Do you know what we will be doing today?” Leona asked. In the blink of an eye, the scenery completely transformed. They were still on Tribulation Island, at about the same part of the beach as before, but everything else was different. The stage consisted of four tables, three of which were facing the fourth, which was more off to the side. Aura and Lincoln were standing at one of the chef’s tables, Mario and Leona were at another, and Horace and Darko were at the third. Mateo and Marcy were sitting at a smaller table, along with—with...is that? It couldn’t be. The audience broke out in laughter according to their reaction cues. The audience laughed even harder. “You are right!” the audience recited back from the teleprompters. “I don’t know,” Mateo answered honestly. The audience sparingly let out a few awkwards laughs. The reaction cues must not have been telling them to do anything. The contestants just froze in place. Mateo was unable to help Leona...or anyone, for that matter. All he could do was sit there and play to the audience per Arcadia’s goading. He tried to crack a few jokes, as did Marcy, but they could only do so much. 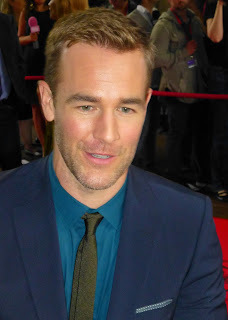 Fortunately, James Van Der Beek was good at stealing the show, and getting everybody to watch him. He eventually got out of his seat and started an impromptu stand-up comedy set, which...could do with a little more work. Meanwhile, his family and friends were rushing around the island, looking for anything people could eat, disappearing and reappearing between the trees. Boar, bananas, fish, berries, these leaves they discovered could be made into an energy tea. They also looked for bugs. In the dirt, and in the sand. They were hard to catch, and ultimately even harder to clean. At the end of James Van Der Beek’s set, Arcadia thanked him for his service, and spoke to the fake camera, “we’ll come back...after the break.” And then she just stood there, frozen. She literally didn’t move a muscle, likely having trapped herself in a time bubble, just for the effect. “Time travel is a thing,” Mateo said. There’s that nightclub air horn that sounds three times in rapid succession. People often mimic it with their own voices when they think they’re DJs. One of those goes off, signalling to the contestants that it’s time to return and actually begin cooking. They all rush in, holding their baskets of ‘food’ and doing their best to wrangle their bugs. They carry them over to their chef’s tables and begin preparations. As they’re working, Arcadia walks around, commenting on the minutiae of what they’re doing, and asking them stupid questions. She also goes over the judges’ table and asks for their opinion. Rather, she asks two of them, because Marcy’s literally not allowed to speak. She was apparently just placed there to round out the number. Mateo and James Van Der Beek have to explain the process the contestants are going for, and what they might be after with their decisions. Neither one of them is an educated or experienced cook to the calibre of someone who would call themselves a chef, so they have to BS their way through it, which Arcadia has no problem with. The food was worse than they thought it would be. Sure, these were all things they ate on the regular on the island, but they also had other things, like eggs and fresh Earthan vegetables. Mateo wasn’t sure exactly where it came from, other than a magical pantry down the beach that kept refilling itself every day. The fact is that they never ate a meal with only the island food, and this low level of flavoring made everything seem so bland. The bugs were the worst part, of course, but Mateo was doing okay. He knew the danger in not meeting Arcadia’s expectations. Marcy acted like she ate bugs all the time. James Van Der Beek was a trooper too. Even though he didn’t quite understand who these people were, or what the hell was going on, he forced the food down his throat, and came out the other side a better man than Mateo ever knew. They had to continue making remarks about the food, coming up with meaningless ways the contestants could have done better. “Very well.” She waved her hand and apported him away too. “Goodbye, Arcadia,” Mateo said, unprompted. “Have a pleasant evening.” Then she nodded to Marcy. “Marcy. Remember your options.” Then she teleported out of there. “What did she mean by options?” Mateo asked.